Good morning! As many of you know, I am a leader in the Women in Exhibition (WIE) group. Our group held a very successful meeting in Las Vegas in February. 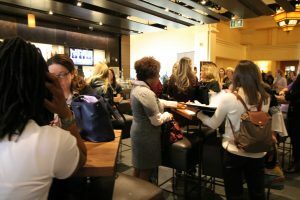 In an effort to continue connecting women in our industry, we are announcing a mentorship program. 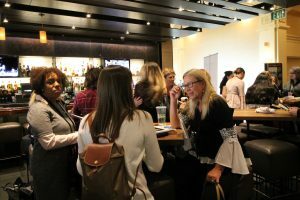 There is no obligation to participate, but we’ve heard from women, in all facets of our industry, who would enjoy sharing their experience and guiding other women toward success. Men are welcome to be mentors too. Personally, I’ve had several really helpful mentors in this industry who have been men. Please contact me directly if you are interested. Thanks so much, and let me know if you have any questions! 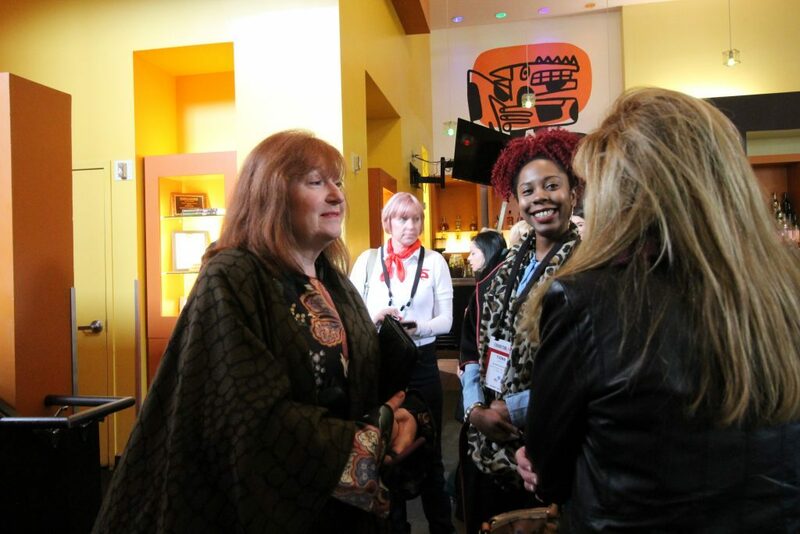 To all the women who participated in the Women In Exhibitions event at EXHIBITORLIVE… THANK YOU! It was the most successful meeting we’ve had with 100+ women in attendance. 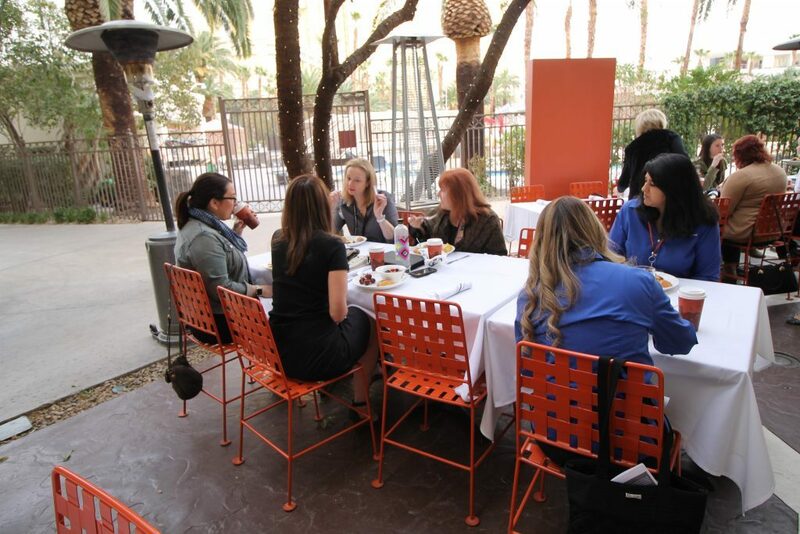 We gathered Tuesday morning at Border Grill in Mandalay Bay for a delicious breakfast and discovered “How to Design Our Lives to Flourish” with Guest Speaker Lynette Xanders. What an energizing way to start the second day of the show! Having a booth at the show was also new for us as well, giving considerably more visibility to our organization. Hundreds of women stopped by to ask for more information and sign up for our mentorship program. In the next week, I will be sending out a short survey to the women who expressed interest, identifying the type of mentorship they would be willing to provide or are looking to receive. If you would like to participate in the survey and learn more about this program, send me an e-mail and I’ll add you to the list. “From the initial meeting of Women in Exhibitions in Tucson, I have had the opportunity to attend many WIE meetings. The breakfast event at EXHIBITORLIVE 2018 was amazing. 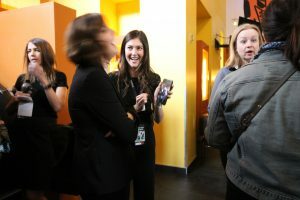 There were many bright, enthusiastic, experienced women sharing information and ideas. Having a guest speaker was a bonus, especially since it was interesting. 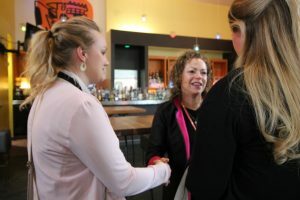 I was able to connect with several women, which will be of benefit to my business. 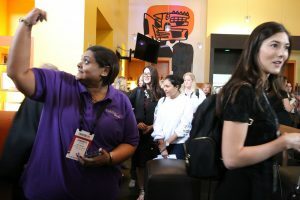 This year we took huge steps in our mission to reach and help more women in the event and exhibition industry. Because of the success of our event, there is already more interest in sponsoring the event next year, as well as volunteers to physically help manage the event and staff our booth at the show. Do you want to get involved? Do you have questions or suggestions? We will begin planning soon, so let me know if you have interest in sponsoring or volunteering. My e-mail address is katina@classicexhibits.com. 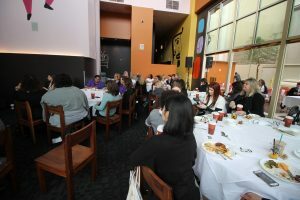 Thanks again to Mirror Show Management, Access TCA, Design Factory, Xzibits, and Optima for sponsoring the breakfast event. Thank you to Classic Exhibits, Classic Rental Solutions, Five Inc., Angles on Design, Xpert Trade Show Carpet, and EXHIBITOR for providing the booth space and all the beautiful pieces that made the booth stand out. You were all so generous. We couldn’t have done it without you! 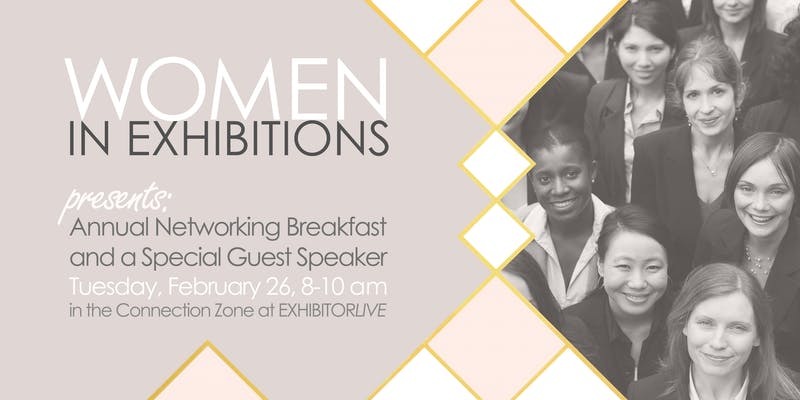 Calling ALL women in the exhibition industry! 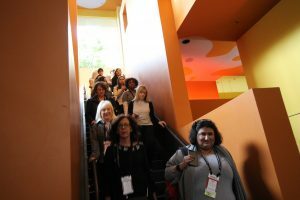 The Women In Exhibitions (WIE) meeting will be held on Monday, March 13 at 5 pm at Mandalay Bay – Palm F, Level 3. 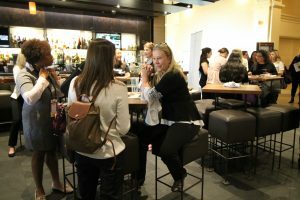 Please join us as we network and build key relationships with other women in our industry. This year, we will discuss our progress over the past 15 years, and what YOU want from WIE as we move forward. Bring your ideas! There is no shortage of challenges for us and the industry. Join the WIE Group on LinkedIn. Let others know who may not receive this email. No need to RSVP. If you would like to chat with me before the meeting, I’ll be in booth #1645. I am excited about EXHIBITORLIVE this year. Our booth will feature Gravitee, SuperNova lightboxes, and charging stations of all shapes and sizes. And the graphics are jaw dropping thanks to our Graphic Design Manager, Glenna Martin (who will be at the WIE meeting as well). I look forward to seeing you in Vegas and hearing your suggestions for the 2017 Women in Exhibitions meeting.